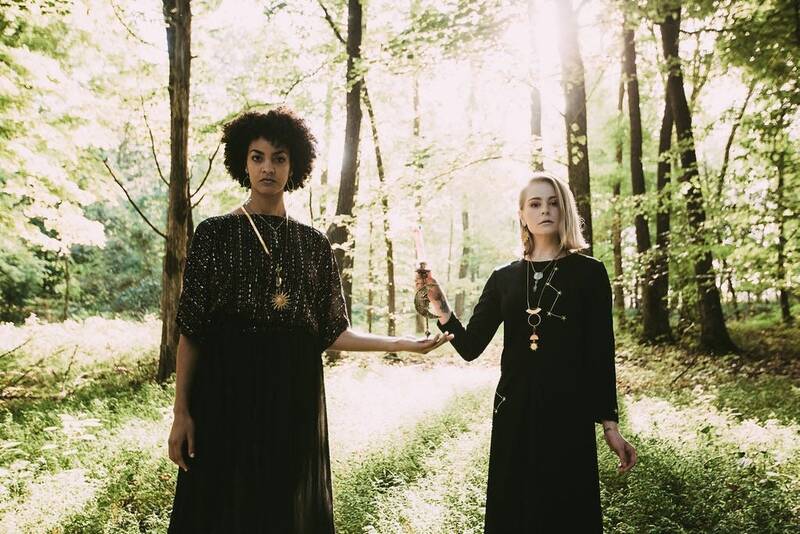 Summon the goddesses while wearing this magickal talisman. 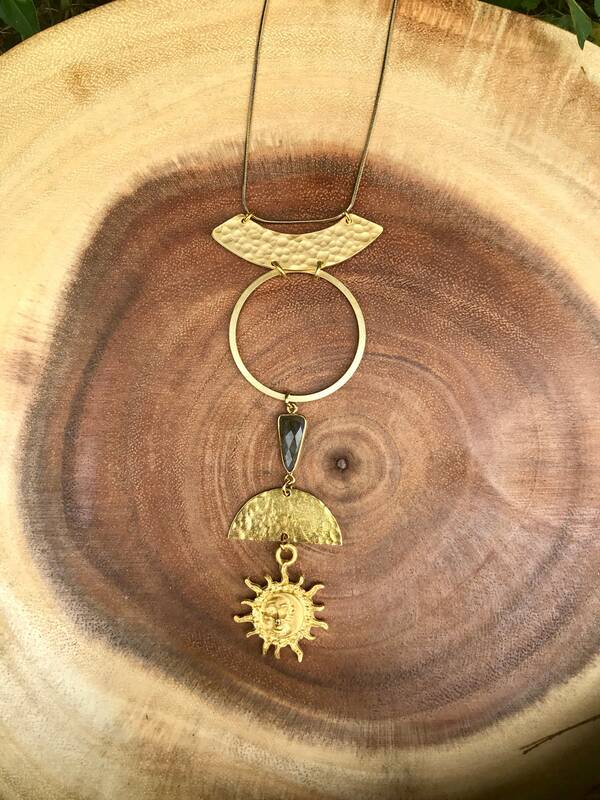 The Summon Necklace features a vintage 24K gold plated sun/moon charm, labradorite connector, hammered brass half moon, brass circle, and gold plated bar connector. 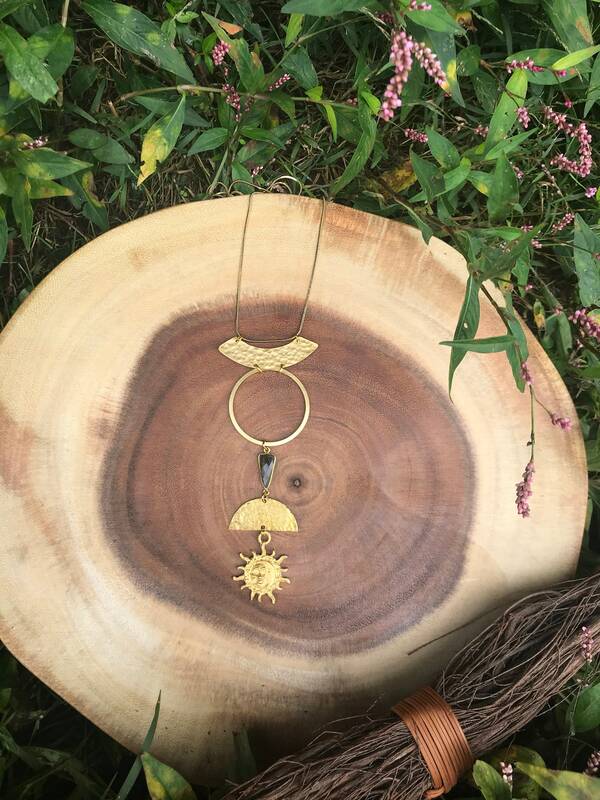 The pendant measures 5 inches long and hangs from a 28 inch chain.